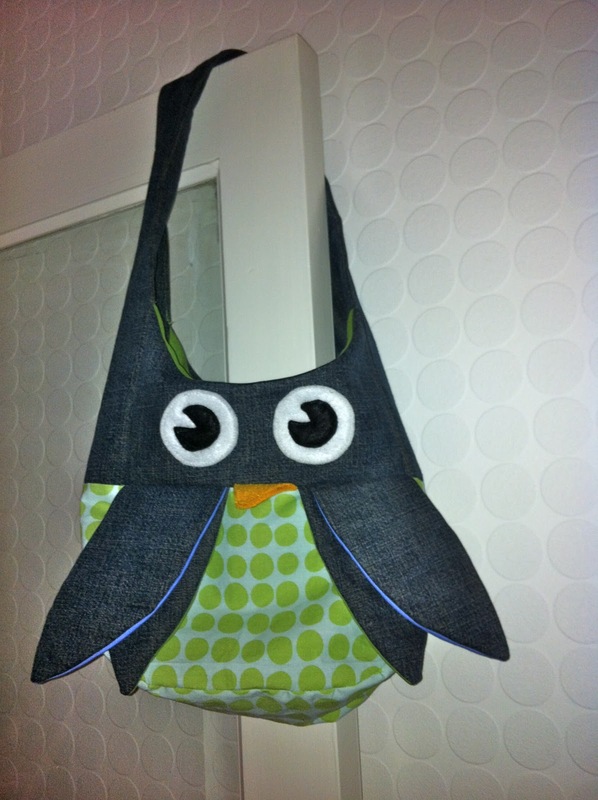 Monkey and Squidge: Owl Bag! …I did it! Can you believe it? I did something without getting side tracked – I made my first bag, and I'm so pleased with it and still so excited! However… apparently it looks like a penguin so I didn't quite achieve what I set out to do but I still think it will be a fab present for my niece! Apologies as always for the rubbish photos but it's late, and dark! I lay awake last night working out how I could make it and it turned out really well, not sure there's anything I would change. I wish I could remember the photo that gave me the inspiration though. The blue is a lovely vintage denim colour teamed with a pale blue and green spot bottom and gorgeous green lining (I also mimicked the outside spot on the inside lining). The underside of the wings are either blue or green… not that you see that unless you lift them up! I just need to get a fastening so that it closes at the top! 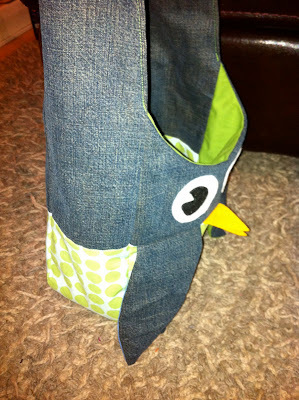 So there you go, my first penguin bag… ahem! I mean owl bag! Apparently it's the beak colour that changes it from a penguin to an owl… so say my family – brown beak for an owl, yellow for a penguin. 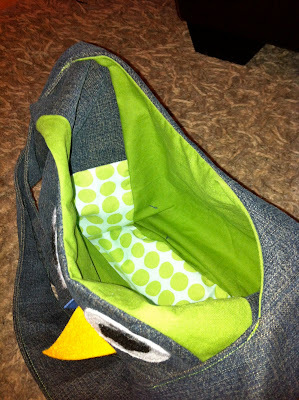 …I may add a pocket to the next one or maybe a zip closure! 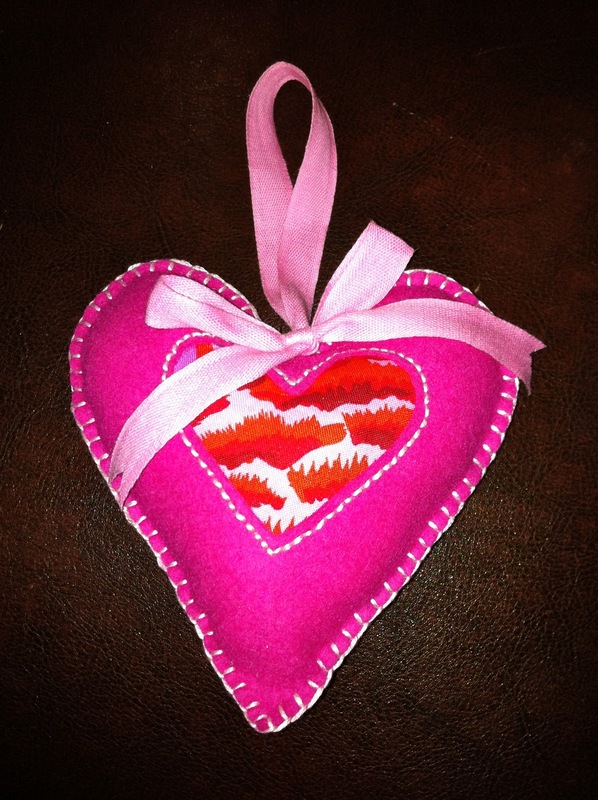 Oh yeah, I also made a heart for the little girl thats stolen my boys heart! …I have nothing to do tomorrow other than ironing! …quick, think of something, anything! 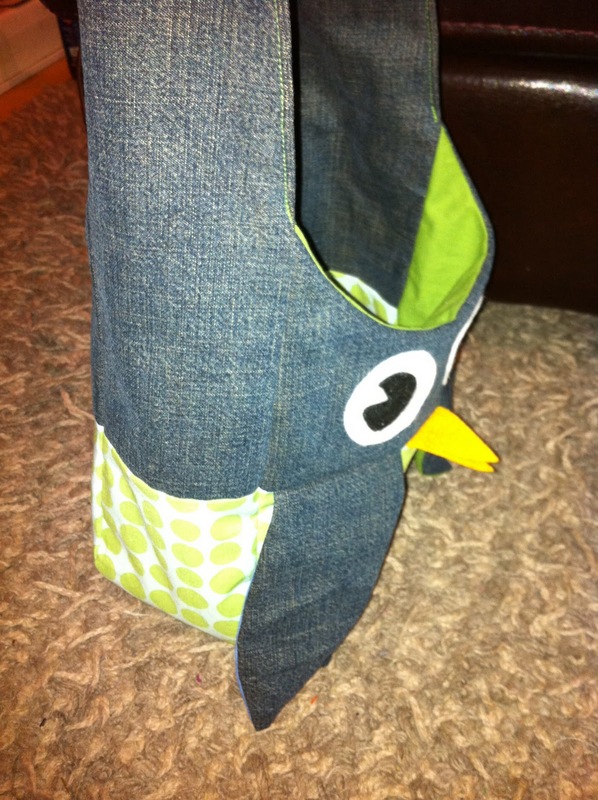 Thanks for looking… what do you think, owl or penguin! 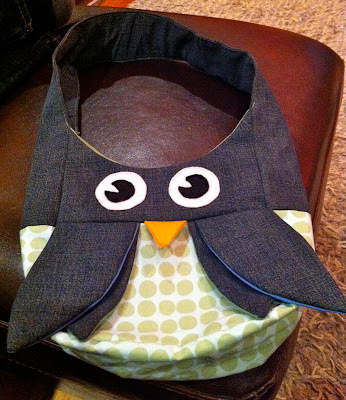 Oh yeah, I will be potentially be making some kind of bags to sell next year too, maybe ones similar to my owl/penguin bag!